This book is the first in a trilogy, it’s about a girl named Katniss Everdeen. The book takes place in the future USA called Panem. Panem is split into 13 parts, 12 are districts and the last is the capital. There were 14 until the capital bombed district 13. Katniss lives in district 12. There is this annual lottery-type drawing only the prize, or more like price, isn’t so good. Katniss’s sister, Primrose Everdeen, is the girl chosen for this and Katniss knows if she lets Prim go in, she won’t come out alive. Katniss ends up volunteering and is paired up with bread boy, Peeta Mellark, when they go into the arena. District 12 is the poorest of the districts and with only one victor, or winner of the games, their chances aren’t so good. There are 24 people who go in and only one goes out, will that person be Katniss or will she die trying to get back to her family alive? Read this action-packed must-read to find out. Katniss Everdeen lives in District 12, the poorest district in Panem. Every year, one boy and girl from each of the 12 districts gets chosen to be in the Hunger Games- a public arena where children fight to the death until only one remains. When Prim- Katniss’ younger sister- gets chosen, Katniss volunteers in her place. Now she is off on the ride of a lifetime with Peeta Mellark, the other tribute from District 12. When she gets placed in the arena, Katniss must fight for her life, and Peeta’s. Some parts of this book are intense and violent, so I would not recommend it for anyone under 10. Other parts are romantic and exciting. If you do decide to read this book, I think that you will really like it. I hope that my review helped you! In the second book of the Hunger Games trilogy, Katniss and Peeta are sent back to the arena to fight to the death with people who have already won the Hunger Games. This book is action packed and more violent than the first book. During the story, some of the districts are starting to rebel against the Capital. This book has a really good cliffhanger at the end, so be prepared to read the third book! Awesome book, way better than the movie, always keeps you on edge. A little better than the first, and so many plot twists. Loved it!! 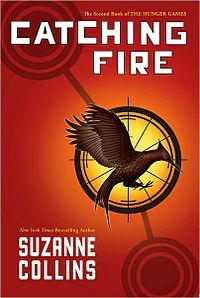 In this book the Hunger Games by Suzanne collins Katniss Everdeen and Peetah Malark get there name drawn out of a bowl and have to participate in the 75th annual hunger games fight to the death for their district and for themselves. Could you ever imagine being ruled by a cruel capital or having loved family be killed in an arena or go outside of your district to get food? That is how Katniss had to live along with Peeta, and Gale. Peeta and Gale are close friends to Katniss. Then there’s Haymitch, Katniss and Peeta’s mentor for the Hunger Games. My favorite part was when Katniss shot an apple out of a suckling pig.I recommend you read the hunger games if you like action packed books. The book I am doing is the Hunger Games and I think that the book is amazing because it has action. This book is about this girl named Katniss and this boy Peeta who fight different people in the story. They represent district 12. With all the hype around the Hunger Games movies, it was surely just a matter of time before Hollywood would make a film of Suzanne Collins’ other book series, The Underland Chronicles (aka the Gregor books). 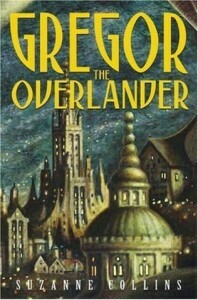 Well, the big announcement has finally come: no word on the release date yet, but an adaptation of the first book in the series, Gregor the Overlander, will definitely be hitting theaters at some point in the future! But they’d better hurry up and shoot the movie fast because Josh Hutcherson and Jennifer Lawrence have been cast as the leads, Gregor and Luxa! It is quite puzzling that Liam Hemsworth was cast as Gregor’s 2-year-old sister, Boots… but we’re so excited about the film we’re willing to just go with it. P.S. — We do really want to see movies of this series some day. So if you’re like us, well, sorry if we got your hopes up! 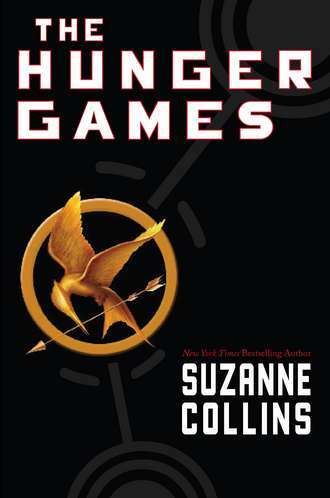 The Hunger Games is a science fiction novel by Suzanne Collins.